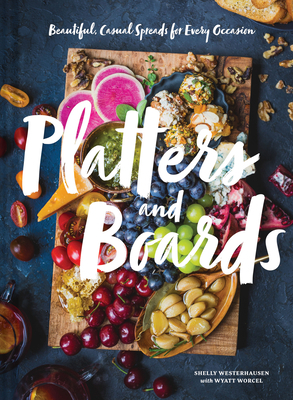 An inspiring resource for throwing unforgettable get-togethers: Platters and Boards is the guide to entertaining with effortless style. Author Shelly Westerhausen shares the secrets to creating casually chic spreads anyone can make and everyone will enjoy (and envy). Organized by time of day, 40 contemporary arrangements are presented with gorgeous photography, easy-to-prepare recipes, suggested meat and drink pairings, and notes on preparation and presentation. Fans of Cook Beautiful, The Art of the Cheese Plate, InStyle Parties, Magnolia Table, and Cravings will love Platters and Boards.